Emelda Vincent is a certified NASM Personal Trainer, certified Postnatal trainer, NIKE NTC Master Trainer and Swimming Coach with over 17 years’ experience in the fitness industry. She has been an avid fitness enthusiast and kick started her career as a national swimmer representing Sabah and Malaysia. She then entered into personal training via Clark Hatch followed by Fitness First where she was nominated ‘Employee of the Year’ in 2002. A stint with True Fitness in 2005 followed, incorporating her experience as assistant group exercise manager, and subsequently went on to a full managerial role with YFitness Zone in 2007. She graduated as a Personal Development Coach with Celebrity Fitness until early 2014 where she enrolled at Jatomi as a GX Manager, her final role before starting Emelda Fitness. Emelda was the only NIKE NTC master trainer in Malaysia in 2014 and her role required her to conduct training and events for NIKE NTC’s program. She enjoys teaching Les Mills programs such as Body Pump, Body Balance, Body Combat,Body Jam, Body Step and Body Attack. 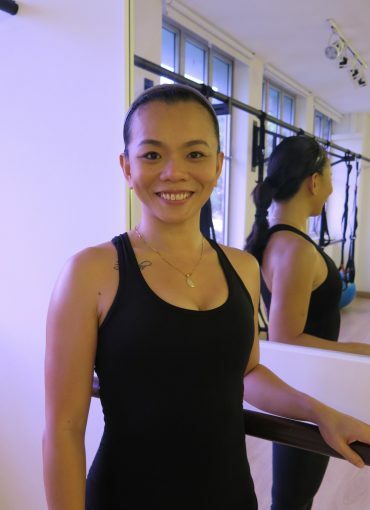 She found her passion in group exercise and feels that this is a different way to channel her experience and commitment to the art of fitness.